Green is a pretty big color for most people, so we will be breaking it down into two parts. Start with a pile of darks and a pile of lights. Brights can go either way, look at your two stacks and figure out where they "fit" in best. Put the lights away for now and focus on the darker shades for May. 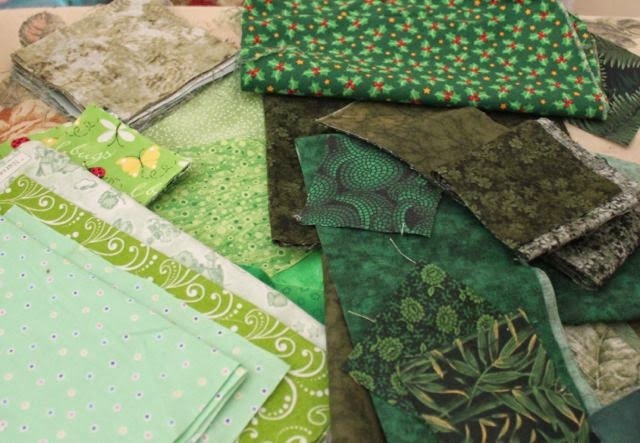 I will open up the May fabric giveaway on Saturday, so be sure to check in on ScrapHappy Saturday to see the green begin. It's been so long since I finished anything that I wasn't quite set up for binding. I found my favorite thimble in the Monopoly box last night during family game time. Sydney headed off to the county fair with her friend this afternoon, leaving me time to machine stitch the binding to the front. Then when the men got home from D&D, it was pizza time with a movie. So now we are all watching the Fifth Element while I hand stitch the binding down to the back. I was happy to find my binding clips with the pins, and so I am all prepared to settle in. I wasn't sure about this particular plaid flannel, but now that I am almost done, I am enjoying it. I used a light green thread for the quilting and it blends surprisingly well with all the different colored shirts on the front as well as the backing fabric. With just 4 more days left in April, it is time to get a few more purple projects crossed off the list. 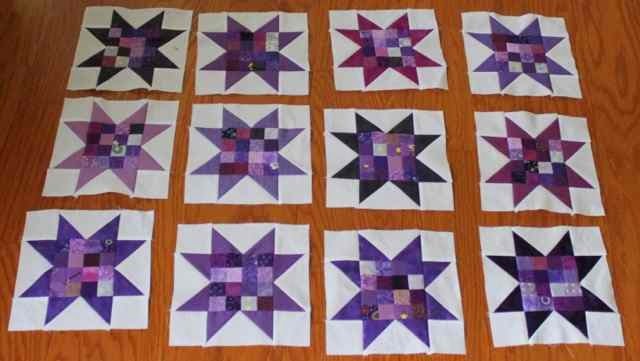 The purple postage stamp blocks were already done, they just needed a few star points to be complete. The nine patches had already gone through as leaders and enders, so adding frames was a quick and easy task. 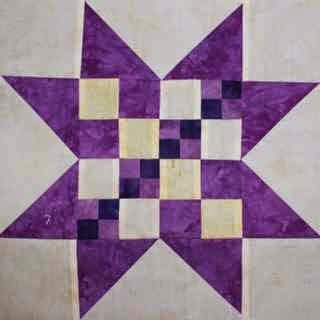 The white twinkle stars were next on the list, and there were plenty of purple 2.5 inch squares to make one light and one dark. 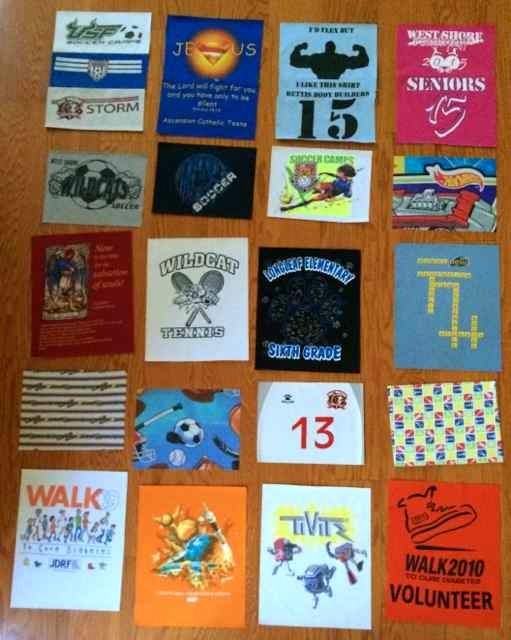 So now all that is left on the list is the binding for the t-shirt quilt. It got quilted last weekend and has been patiently waiting since then. First though, there are still a couple more loads on laundry to finish up. Anna is headed off to a movie date, and so Sydney and I are having a redbox marathon of Annie and Mockingjay with popcorn and soda. Pretty exciting stuff for a Sunday. Another busy week, and not much was sewn. Still plenty of purple to play with, and today is the day. A new month starts next week, so hopefully you have all had plenty of time to play with purple. 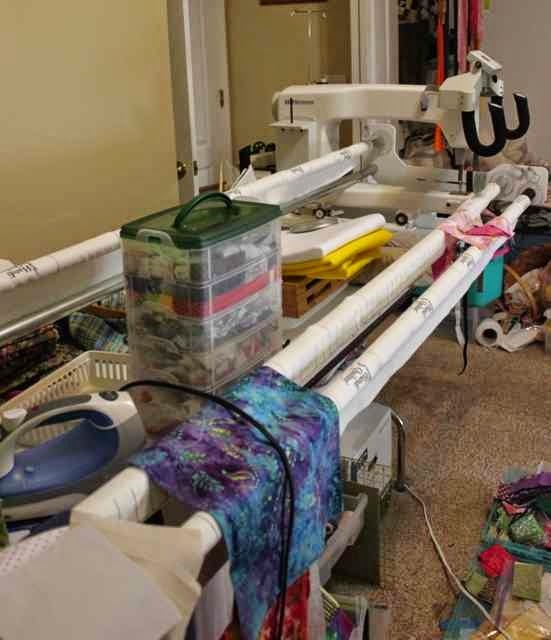 Use misterlinky below to share what you sewed. 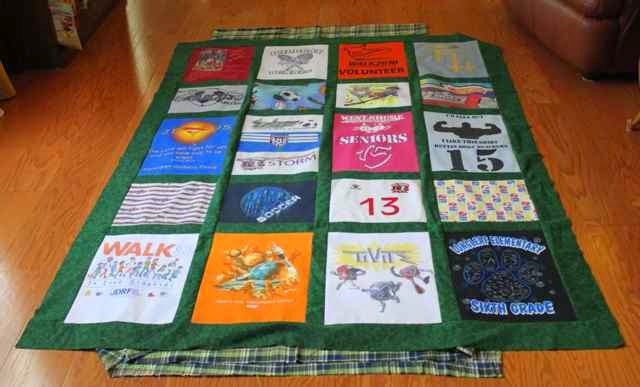 My one job today is to quilt the t-shirt quilt. After my review session yesterday, I stopped at Joann's and used my coupon to pick up some backing fabric. They were out of the one I had picked out earlier, but I think this lighter version will work just great. Fist though, I will need to clear off my quilting frame. Oh dear, how did it get that way? Speaking of chaos, yesterdays AP Biology review session was a big hit. We had two teachers and 31 students for 6.5 hours of power learning. 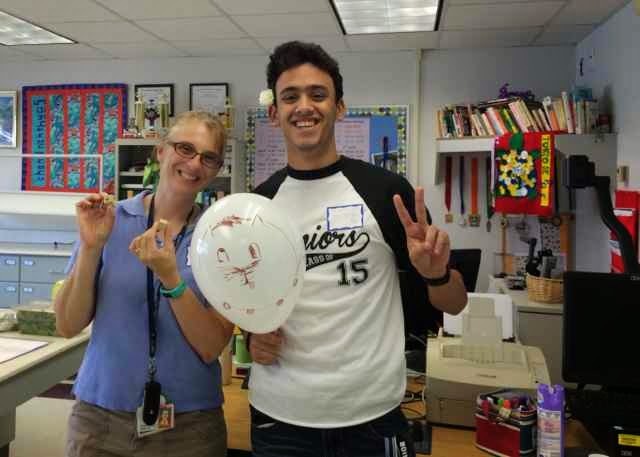 Physics was going on at the same time, and they had 30 kids with 5 teachers. So much fun! 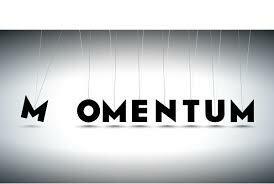 Hopefully everyone will feel much more confident now going in to the big exam. 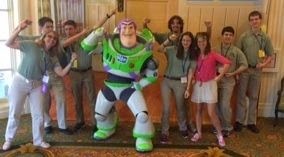 It was lots of fun meeting students from other schools, they had lots of good tips and tricks to share with us all. This guy was a real charmer. He was headed off to prom last night, so I hope that he had a great time. Some of my own student were even nice enough to stay after and help with the clean up. Boy was that nice! There were even enough boxed lunches leftover for dinner, so I didn't have to cook last night. Well, enough procrastination, I'm off to clear the quilting frame and load up my quilt. Another week has come and gone with hardly a stitch to sew. It is just starting to be testing season at school which will mean the end of teaching season, but we are all carrying on as best we can. 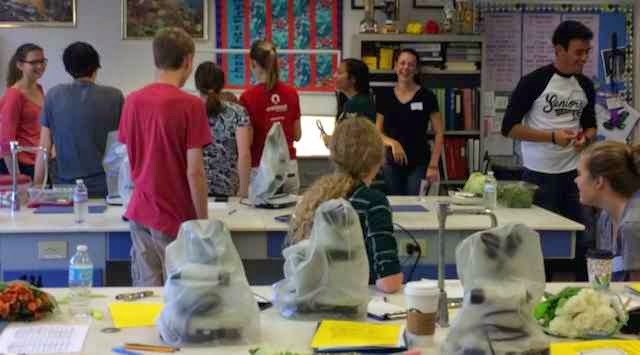 The weekends have been busy lately, and today will find me off at an all day review session for AP Biology students. It is open to all the schools in the county and so it will be fun to see lots of other students and see what questions they all have. Kurt is driving Sydney for LAX which left me to find a ride home for Ryan from the math competition. I have some postage stamp squares leftover from an earlier round ready to be reconfigured into smaller postage stamp stars. Hopefully Sunday will bring some quiet sewing time. 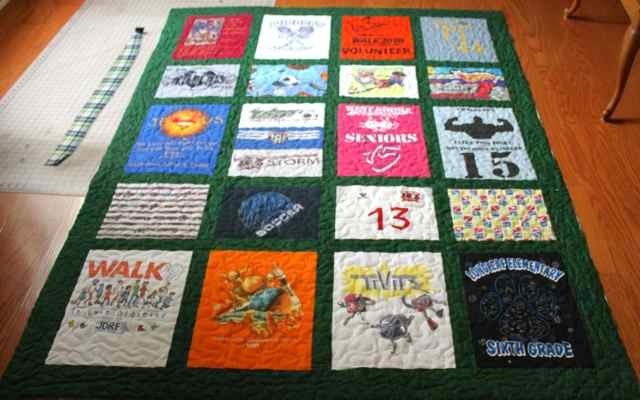 The T-Shirt quilt is first on the list though, with graduation just 40 days away, sooner would be better than later I am sure. What purple plans do you all have in the works? Use misterlinky below to share with us all. There is just one more purple Saturday to enjoy, so I hope you loving every last stitch. Sewing for me will have to wait for another day. Academic Team is off to Orlando for the State Competition. Because we won our first match on Thursday, we had all day Friday to enjoy the parks. Semi-Final and Final rounds are both today along with the awards banquet tonight. So hopefully you have all had some time to play with purple this week. Use the linkytool below to share with us all. 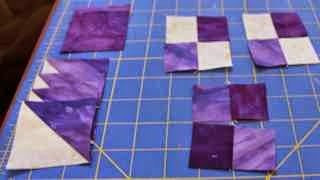 Purple will form he upper two corners of the Sawtooth Sampler quilt, and so I was looking for something with a strong diagonal line. I thought of Jacob's Ladder, but I'm trying not to repeat blocks from last year. I really liked the sugar bowl that Angie posted a tutorial for recently, but it would have worked better in a lower corner than an upper corner. That led me to this picture of a a Broken Sugar Bowl block. Just right. This block is on a basic nine patch grid. That means the main subunit needs to 2.5 inches unfinished. Because it combines plain blocks with HST units, it is the perfect time to break out your easy angle ruler. 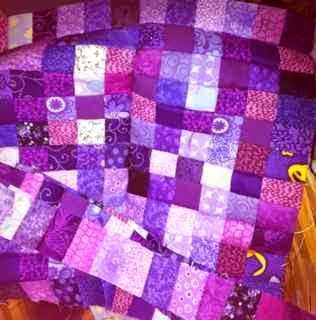 I used three purples for my block, along with a background fabric. You could use more or less of course. 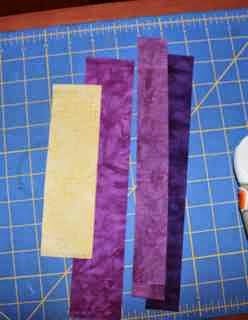 You will need 2.5 inch strips of medium and light purple as well as background fabric. 1.5 inch squares are used to make the four patch units for this block. 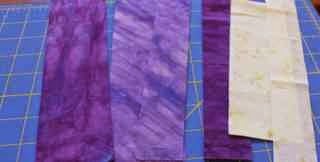 You will need 1.5 inch strips of dark purple and background fabric. 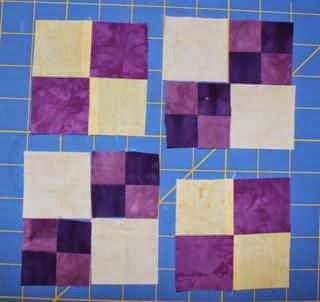 Start with light purple and background 2.5 inch strips placed right sided together. Use the easy angle ruler to cut 4 HST units. 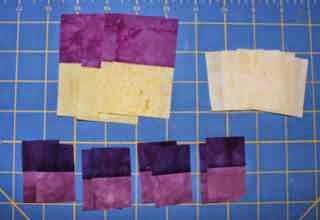 In addition to the 4 HST units, you will need 2 - 2.5 inch squares of medium purple. Everything else comes from the 1.5 inch strips. 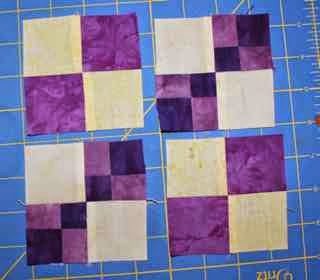 You 4 - 1.5 inch squares each of background, light and dark purple. If you were making a lot of these squares, strip sets would work, but we will only need two of each color combination, so single squares are easier this time. 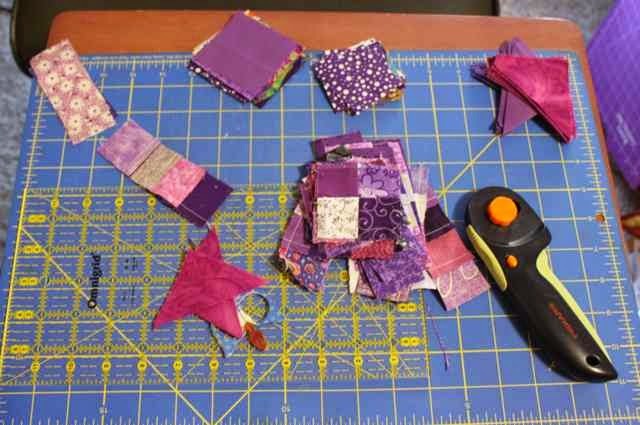 First sew your HST units along the hypotenuse, press the seam toward the purple fabric and trim the dog ears. Next combine your 1.5 inch squares. You will need two dark and background, two light and background, and two dark and light purple. Press all the seams toward the darker fabric. Combine them into three four patches. Two have one dark and light purple square along with two backgrounds while the last has just purples. Now that your four patches are done, you should have 9 subunits ready to go. The four patches march along the diagonal with the dark side of the HST units nestled in. 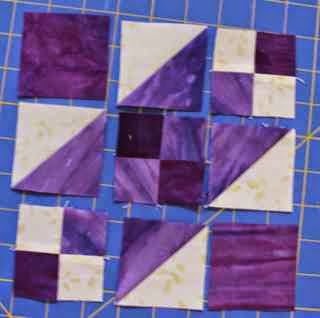 Solid purple squares then fill out each corner. 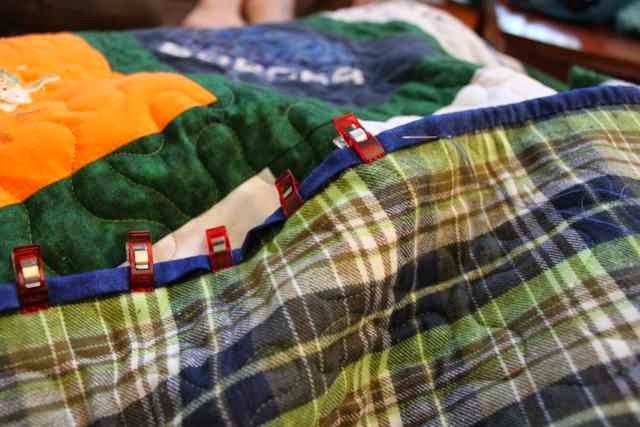 Go ahead and sew your nine patch block together. It should be 6.5 inches unfinished. 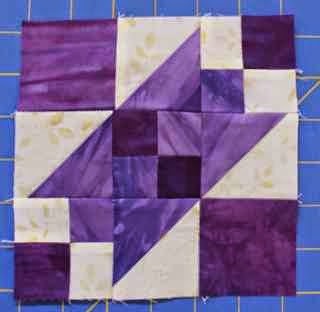 Finally, place your Broken Sugar Bowl Block into the center of sawtooth star points using the tutorial found here. 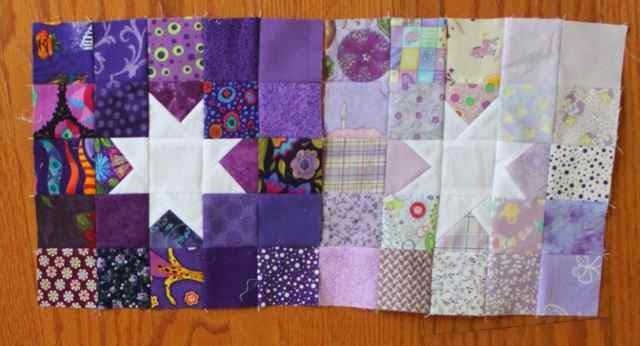 That is it for purple sampler blocks this month. All that remains is to save some 2.5 inch squares for the alternate blocks. You should save 24 of those to use later. There is nothing better than the feeling at the end of a Saturday during a three day weekend when you realize that you still have another day to go. We went to a final four basketball party, but didn't stay long. The kids wanted to go to a flashlight egg hunt and movie night. I was able to finish up the flimsy for the t-shirt quilt. I don't have the backing fabric yet, because I didn't have a coupon. I'll go back soon though. I already have a blue and green plaid flannel all picked out. 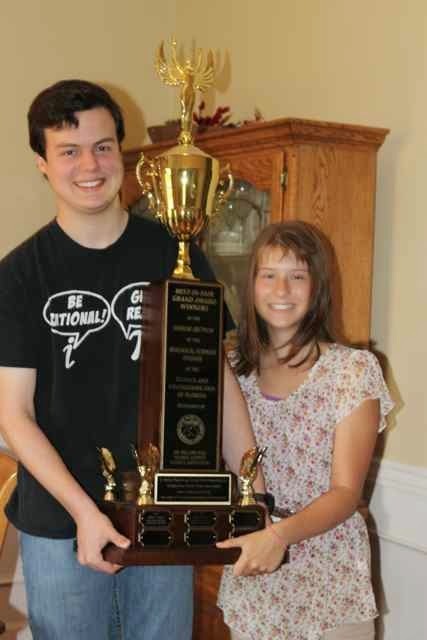 Anna's BF, River won best of show at state science fair. He brought his trophy over to show off. He is staying for dinner. Kurt cooked ribs for Easter. It's a short week again at school, I'll be headed off to Academic team on Thursday. Tonight though, I've brought home a big stack of papers to grade. Hoping not to take any with me to Disney. Wish me luck. I am loving the purple month! So many pretty shades to enjoy. I've got these mini postage stamp blocks ready to serve as the centers for another batch of postage stamp stars. The flying goose star points will be first on my list today. 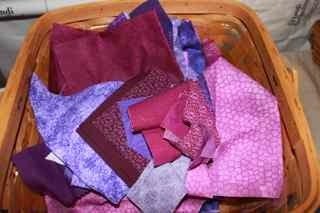 What purple plans are in the works in your sewing space today? Use misterlinky to share with us all. 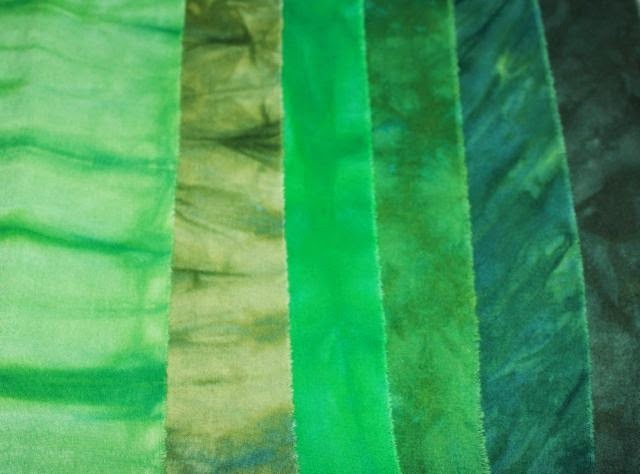 Don't forget to enter the giveaway of purple hand dyed fabric from Vicki Welsh. I'll draw tonight at the end of ScrapHappy Saturday. This block is called Carrie Nation. After looking up Carrie Nation without adding "quilt block" to the search, I learned that Carrie A. Nation was a famous leader of the temperance movement best known for a big hatchet that she used to attack drinking establishments before prohibition became law. I felt the urge to go pour a glass of wine to sip while I sewed, but I resisted the urge. I feel like we've done a lot of triangles lately. This time I thought some nice simple squares would be nice. 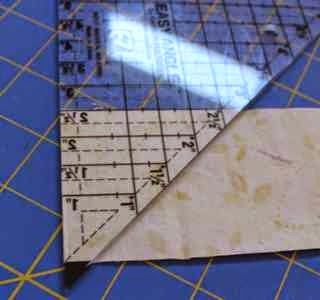 You will need some strips to start for strip piecing. I used light and dark purple for the small strips and medium and background for the large strips. 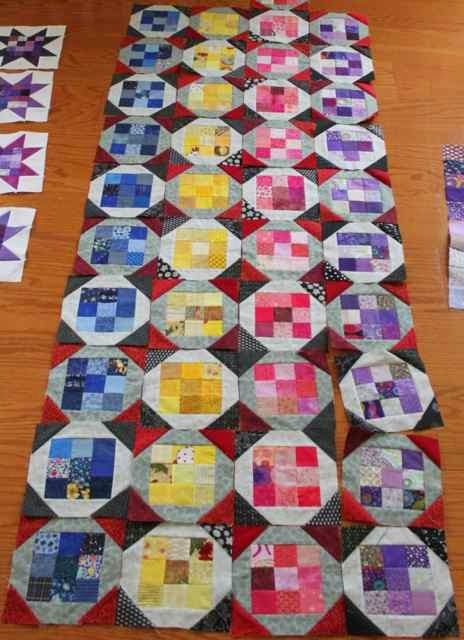 The large strips are cut 2 inches wide and should be at least 8 inches long. The small strips are 1.25 inches wide and should be at least 10 inches long. You will also need 4 squares of 2 inch background fabric. 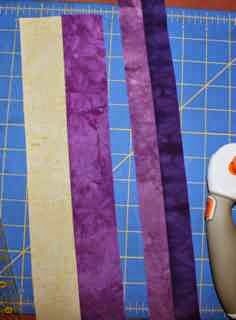 Sew a 2 inch strip of background fabric to a 2 inch strip of medium purple. Next sew the 1.25 inch strips of purple together. Press the seams toward the dark fabric in both cases, making sure to keep the strip set straight during pressing. Sub cutting comes next. Cut the 2 inch strip set into 2 inch sections. You will need 4 of these. next sub cut the 1.25 inch strip set into 1.25 inch sections. You will need 8 of these. Now would be a good time to cut your 4 squares of 2 inch background fabric if you haven't yet. Use to sub cut sections to make two large four patches and four small four patches. The small 4 patches will combine with the 2 inch squares of background fabric to make more four patches. Notice that all the dark purple squares line up along the diagonal. Now you've got 4 four patches. 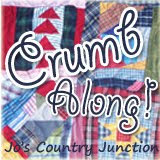 Combine them into another four patch and sew. Here is your finished 6 inch block. 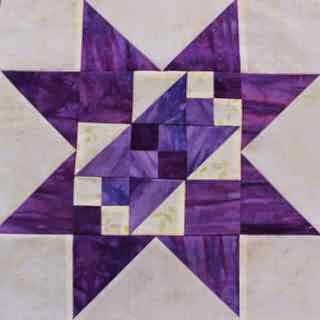 Use the Sawtooth Saw tutorial found here to add star points to your Carrie Nation block. 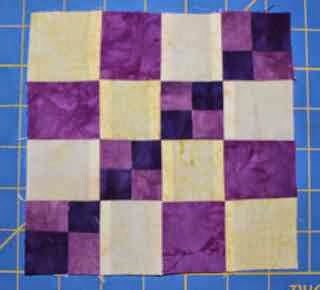 Don't forget to enter the drawing for the Vicki Welsh hand dyed purple fabrics that I used to make this block. The giveaway post is here. I'll draw tomorrow night at the end of ScrapHappy Saturday. Kurt wanted to play volleyball this morning and had to go off to a work meeting this afternoon. Sydney had a sleepover and Anna had LAX practice followed by a visit to her BF. All of that left me with plenty of time to sew. Well, not sew really, but to iron and cut. A morning visit to Redbox left me with plenty of entertainment from Into the Woods and Lucy while I toiled the day away. It was fun figuring out how to make the best use of the design space on each shirt. I ended up with all the blocks having the same width (12.5 inches), but three sized of height. The top row is 16.5 inches to fit the shirts that were extra tall. Two of the rows are 15.5 inches for regular sized shirts, and then two of the rows are 9.5 inches for the smaller designs. Several of the shirts got the fronts and backs sewn together to create one block, which I am enjoying as a design scheme. The body building shirt at the top got cut up into 4 pieces so that everything would still show up. The request was for green lattice strips and a green plaid flannel backing. Those are in the wash now, so I'll be able to cut those out as soon as I do -- yikes -- some more ironing. Even though we just got back from spring break, it is a day off for Good Friday. It isn't called Good Friday of course, but it is a holiday nonetheless. 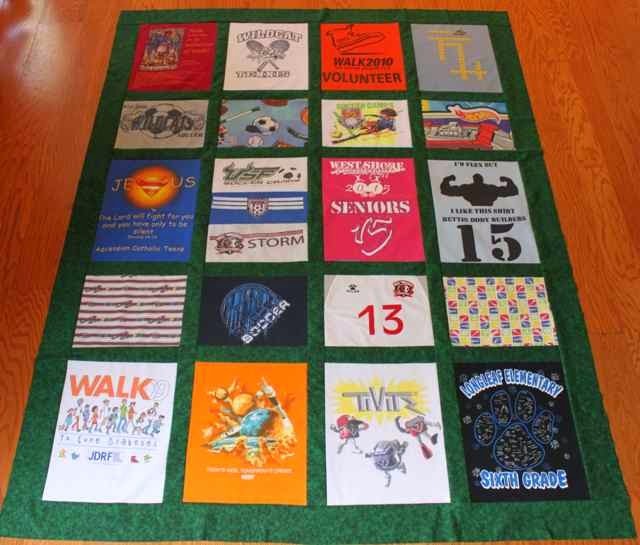 My plan is to make good progress on this t-shirt quilt that is promised as a graduation present. So far all the shirts are rough cut. I am planning to put my new iron to good use today with the stabilizing part. 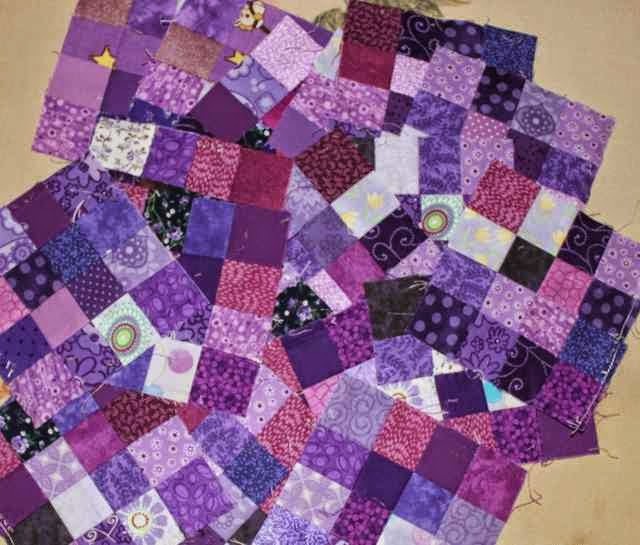 I have made a bit of progress on purple scraps. So far they have been ironed and organized. Anything that can be cut into strips has been, and the short strips are being turned into nicely organized piles of squares ready to use. I've also got the star points ready for some purple postage stamp stars. 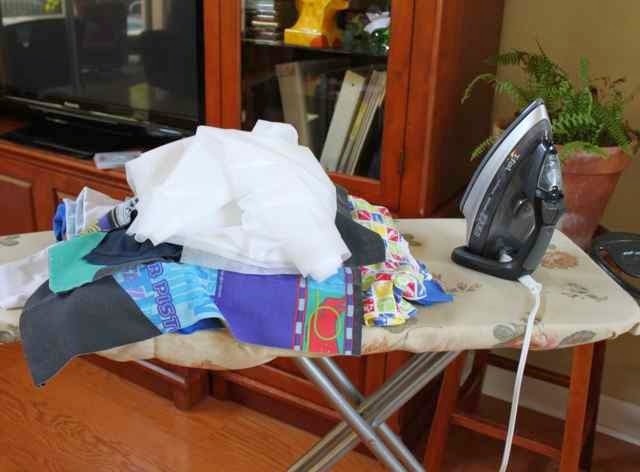 Hopefully that will get worked in between ironing shirts. I picked up Into the Woods and Lucy to watch while I work.